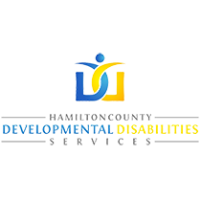 QUALIFICATIONS: Bachelor’s degree and possession of an Ohio Department of Developmental Disabilities Service’s Service and Support Administration Certificate preferred. One year of full time, supervised, paid work experience in programs or services for individuals with developmental disabilities or in a social services setting. Demonstrated strong oral and written communication skills and strong interpersonal relations skills. Valid driver’s license issued by the state of residency and meets agency’s drivers insurability requirements. Conducts thorough research to find appropriate resources for families and assists individual with DD and/or family in securing community resources; becomes familiar with programs, resources and services available to our waiting list individuals and/or families. Conducts in person and telephone meetings with waiting list individuals and/or families, provides plans to support families engaging in community. Assists individuals with DD in determining what needs or services are required and conduct follow-up. Collaborates with other staff to problem solve; identify resources and gaps in service provisions; collaborates with Community Integration team, community, agencies and professionals to produce positive appropriate outcomes. Provides responsive follow up and excellent customer service; maintain quality service by consistently tracking and documenting progress in a timely and accurate manner. Acts as a representative of HCDDS in a professional, positive manner as a means of creative new business connections for HCDDS. Develops and demonstrates knowledge of new technology and other developments in field to maintain proficiency in job duties. Develops and maintains effective relationships through effective and timely communication; demonstrates a sense of teamwork and cooperation. Attends meetings, seminars and conference to develop knowledge of current best practices; participate in agency, local and/or state meetings as assigned by supervisor travels as needed to different work sites in a safe, efficient and effective manner in accordance with agency procedures. All applications must be submitted by April 23, 2019 at 9:00am.